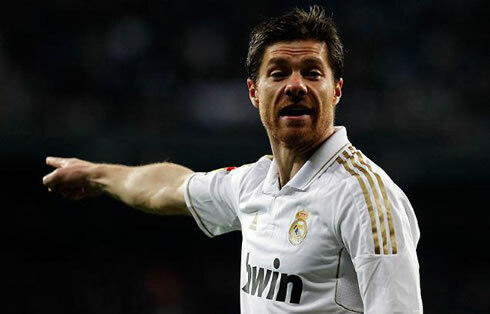 Real Madrid temporarily extended the lead over Barcelona to 13 points, after defeating Racing Santander at home by 4-0. Cristiano Ronaldo, Benzema (twice) and Angel Di María were the goalscorers of a calm night at the Santiago Bernabéu. Real Madrid snatched another victory for La Liga, after beating Racing Santander by 4-0, at the Santiago Bernabéu. 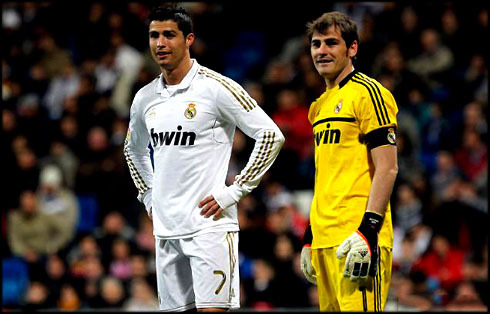 José Mourinho's men were on a 7-game streak always conceding at least one goal at home, in fixtures for the Spanish League, but this time, Iker Casillas finally returned home with a clean sheet. Cristiano Ronaldo scored the opener, which was his 28th goal in La Liga and his 122th for Real Madrid. This goalscoring record obtained in only 2 seasons and a half, allows the Portuguese player to already surpass the legendary Juanito, who had scored 121 goals in 10 seasons for the Merengues. Karim Benzema with a brace and Angel Di María, who just returned from injury, scored the remaining goals of this game. The last time Real Madrid ended a game in the Santiago Bernabéu without having conceded a single goal, dated back to the 26th of October 2011, in a 3-0 victory against Villarreal, for La Liga. Since then, in a total of 11 games, coming from 7 fixtures for the Spanish League, 3 for the Copa del Rey and 1 for the UEFA Champions League, the Merengues have always been unable to keep their net untouched at the end of each of those games. José Mourinho had alerted a few days ago that this dangerous trend shouldn't continue anymore, specially with the UEFA Champions League around the corner. The Merengues players seem to have listened carefully to their coach's words, and managed to preserve a clean sheet in last night's 4-0 victory, against Racing Santander. The first goal would arrive early in the game, but before that occurred, Cristiano Ronaldo still had a great opportunity to score from an header, after a corner taken by Xabi Alonso in the 5th minute, but the ball ended up hitting the post. Just 1 minute after that play, Ronaldo would hit the back of the net, with another header, but this time a lot closer to the goal line and with plenty of space to time his jump and make a proper contact with the ball. One goal behind, many people would expect Racing Santander to open their game and put more men upfront, but the Santander side never appeared to be interested in risking much. After a few good goalscoring chances being wasted, Real Madrid would find themselves with one man up in the 39th minute, coming from an unfortunate incident to the visitors. Racing Santander player, Cisma, deflected a Cristiano Ronaldo cross on the right with his hand and the referee immediatly showed him the 2nd yellow card. If it was already being hard for Racing to reach near Real Madrid's area with 11 men, this sent off almost annihilated their chances of scoring a goal and there were still more than 45 minutes to be played at the Santiago Bernabéu. As if it wasn't enough, just 5 minutes after being forced to play with one man less, Racing Santander saw Real Madrid extending the lead to 2-0, after a left-foot goal by Karim Benzema. It all started in a typical free-kick quickly taken by Xabi Alonso, which put Benzema almost in front of goal, allowing the Frenchman to score his first of the night. Half-time would then arrive a few instants after and Real Madrid already knew the victory was basically on their pocket. With the UEFA Champions League game against CSKA Moscow scheduled for next Tuesday, Real Madrid predictably slowed the tempo of the 2nd half at the Santiago Bernabéu. One of the big moments of the night took place near the 63th minute, when Angel di María returned to competition, after having picked an injury in December 2011. It was precisely the Argentinian who decided to shine a few minutes later, when the clock ticked the 73th minute and from a long range left-foot crossed shot that would only stop at the back of the net. Angel di María still leads La Liga in assists with 13 passes to goal, while Mesut Ozil is ranked 2nd, with 11 assists. Di María return is certainly good news for José Mourinho and Real Madrid, but in the other hand, it will probably make life harder for Callejón, as it significantly increases the competition for the winger position. The last goal of the night was reserved for Karim Benzema and it took place already near the 90th minute. Just after a big miss by Angel Di María, Khedira collected the ball and passed it quickly to Benzema, who didn't lose time and fired up a powerful strike that the Racing Santander goalkeeper couldn't find a way to stop. The final 4-0 result had just been set and Real Madrid will now focus at 100% for this Tuesday's away game, for the UEFA Champions League, against CSKA Moscow. As a negative note of last night's match, both Di María and Cristiano Ronaldo ended the game with some physical complaints, but the injuries are probably not very serious and shouldn't prevent them from being a valid choice for José Mourinho's line-up on Tuesday. Real Madrid next game will be against CSKA Moscow for the UEFA Champions League, next Tuesday (21-02-2012). You can watch Juventus live stream, CSKA Moscow vs Real Madrid, but also Barcelona vs Valencia and Liverpool vs Brighton and Hove Albion, from our football live streams section. Cristiano Ronaldo is expected to be on the line-up against CSKA, even though he left the pitch against Racing with some physical complaints.